With the Expo Line up and running, it’s never been easier for USC students to explore Los Angeles and see for themselves all the city has to offer. Sometimes, even well-known and important places are overlooked because they’re just too far away. 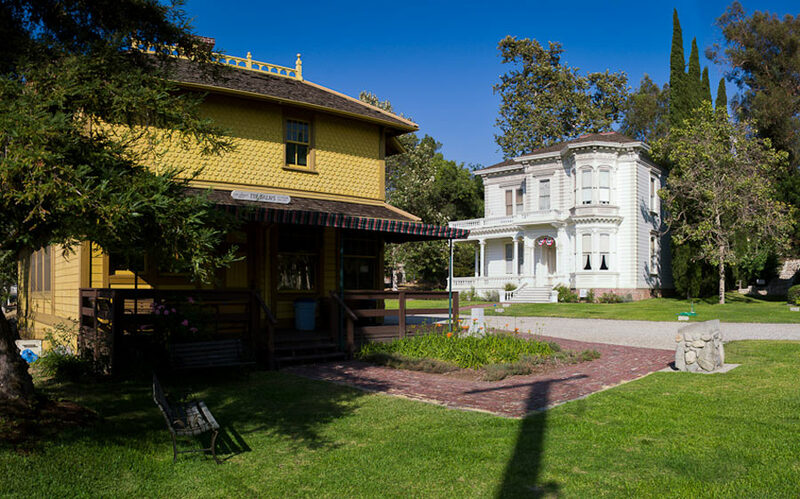 Just a metro ride away in Highland Park is Heritage Square, which was recently named “Best Outdoor History Museum” by LA Weekly. The museum features 11 historic structures — eight houses, a barn, a train station and a church — that were constructed during Los Angeles’ Victorian Era and moved to the site during the 1960s to prevent them from being demolished. To provide some background, the 1950s were a time of rapid expansion for Los Angeles. The freeway systems were allowing drivers to come and go (but mostly go) from the city, leaving the once-prominent area of Downtown to become an overlooked area susceptible to blight. One course of action was to redevelop Bunker Hill by grading the area and building new, modern buildings to attract people to Downtown. Unfortunately, this meant that the Victorian homes characteristic of the neighborhood were at risk. Students of L.A. history, architecture or urban form might remember photographs of Bunker Hill being constructed as Victorian homes were systematically torn down to make way for new tower construction. Throughout the 1960s, concerned citizens worked to establish the Cultural Heritage Foundation, which would eventually organize Heritage Square as a last-ditch effort to save a sample of Bunker Hill’s Victorian structures. Now, the museum provides the opportunity to see this particular piece of L.A. history. Los Angeles is home to many fantastic museums — LACMA, MOCA, the Grammy Museum, the Getty. Can Heritage Square join those ranks? Instead of looking at artifacts in glass cages, this living history museum offers a spatial, interactive experience. Complete with guided tours with docents in period costumes, the museum works to transport visitors to the turn of the 20th century, specifically between 1850 and 1950. One of the greatest criticisms of Heritage Square is its context. Most of the houses are visible from the 110 Freeway, which detracts from the immersive experience that the docent tries to create. Some architectural critics have called the museum an “architectural petting zoo,” since it’s a collection of homes removed from their original locations. While the homes weren’t originally neighbors, with the rapid development of Bunker Hill, how else would these structures have survived? The Los Angeles Cultural Heritage Commission, active at the time of Bunker Hill’s development, could only mark historic structures on a list, not save them. Now, the LA Conservancy lobbies for specific buildings and zoning ordinances to protect historic structures. Back then, redevelopment — and therefore progress — was the primary focus of city planners. Heritage Square offers Angelenos a little bit of both. A reflection of what Los Angeles used to look like, progress in how the city deals with its past. Where the museum falls short is with its latest project, a newly constructed pharmacy that breaks the characteristic moved-and-restored methodology. The pharmacy, in the works since last year, is a reconstruction of community mainstay George Simmons’ workplace that was built in the 1920s. Even with a donation from the Simmons family, the building’s attempt to disguise itself as an old structure is futile and only acts as a disappointment to visitors that are excited to see authentic Victorian Era structures. From the Expo Line’s Expo Park/USC station, the trip takes approximately one hour. Heading toward Downtown, travelers have to make two metro connections. The first is at the end-of-the-line for the Expo Line at the Seventh Street/Metro Center station to either the Red or Purple Line heading to Union Station, and then the Gold Line to Heritage Square station. From there, it’s a short walk across Pasadena Avenue and north up Carlota Boulevard to safely cross the 110 Freeway on foot to Homer Street. The street ends at Heritage Square, so it can’t be missed. On the way back to school, travelers can hop off the Red or Purple Line at Pershing Square and take a look at Bunker Hill today. Imagine if the Hale House or Palms Depot were still standing today at the top of Angel’s Flight: How differently would USC students experience the city? 1880, you must be very old to know all this. “Sguare” must be olde English for “Square”, right? Heritage Sguare is like a petting zoo for old houses. It is not authentic since all the buildings have been relocated from somewhere else. 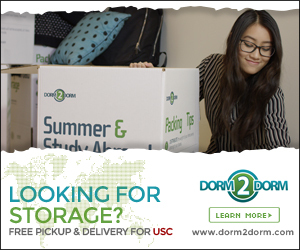 USC students don’t have to go that far to see authenticity. 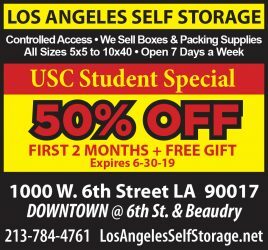 USC was founded in 1880. Some of the houses in North University Park, just North of campus, are older than the University. Unfortunately, many of the students do not appreciate the treasure they have in their own front yard.